The troubled US aerospace giant confirmed Saturday that it had delivered a new version of software for the Maneuvering Characteristics Augmentation System (MCAS), the anti-stall feature which may have caused the loss of an Ethiopian Airlines 737 MAX 8 plane on March 10, and a suspiciously similar accident in Indonesia last October involving a Lion Air aircraft of the same model. The safety feature, capable of activating "without pilot input" to trim the rear horizontal stabiliser nose downward when detecting a perceived risk of stall in low-speed, low-altitude flight, was installed aboard the 737 MAX 8 as part of a series of engineering solutions by Boeing aimed at accommodating larger, more fuel-efficient engines which proved to have a tendency to push the plane's nose skyward during flight. Unfortunately, as media investigations revealed last week, the fated Ethiopian and Indonesian airliners may have lacked two key safety features associated with the MCAS, including an erroneous reading sensor, for which Boeing apparently charged extra. Official investigations continue, with official results not yet forthcoming. What's more, amid media reports that Federal Aviation Administration (FAA) officials pushed the agency's safety engineers to delegate crucial safety assessments on the plane to Boeing itself in order to quickly push the plane through certification, the FBI quietly joined a criminal investigation in a federal grand jury probe into the certification process last week. Boeing's Commercial Airplanes division isn't the only one to face problems. Last week, the company's Space Launch System (SLS) heavy rocket program, developed by the Defence, Space & Security division, received flak from Congress amid repeated delays and expected cost overruns. Similarly, in early March, the US Air Force grounded its entire fleet of KC-46A tanker for a week amid safety concerns after finding "loose ends," unwanted tools and other garbage littered throughout freshly delivered aircraft. A Boeing spokesman played down that problem as a "temporary" issue. However, according to Giovanni de Briganti, a defence analyst and editor-in-chief of Defence-Aerospace.com, the problems faced across the US aerospace giant may be more than 'temporary', and may in fact signal a much broader problem with the company and its management. "The fact that both 737 MAX and KC-46A problems come at the same time could be a coincidence, but it could also suggest that Boeing is emphasizing expediency and financial results over technical rigour," de Briganti told Sputnik. According to the observer, the larger problem may be that "twenty years after the merger with McDonnell Douglas, Boeing's historical company culture of technical excellence is fading as Boeing managers retire, and are replaced by a greater corporate emphasis on results" and the financial bottom line. The same issues which caused the deadly MCAS 'glitch' may cause potential problems for the company's military autopilot systems as well, de Briganti stressed. "Initially, the US Navy, which uses a couple of other Boeing 737 variants, said they were not affected, but on Thursday its chief of staff ordered a review of procedures and training, with an emphasis on autopilots. This could be either a routine precaution or a sign the problem is more widespread than initially thought," the analyst warned. Pilots in other branches of the military flying large cargo and transport planes, and even the president's Air Force One Boeing VC-25, have been quietly ordered to be on the lookout for and to analyse any "autopilot anomalies" following the 737 MAX 8 accidents. De Briganti's assessment was echoed by independent aviation analyst and commercial aviation specialist Eddie Miceli, who went even further, and said that he had "no doubt" that there were likely to be undisclosed problems with military aviation computer systems which would likely remain unknown to the general public due to military secrecy. "It is a completely different branch of aviation, and any concerns or flaws have always been addressed and corrected internally and without disclosing them to the general public," Miceli said. Whatever problems Boeing may face, whether in commercial aviation or the defence sector, the company is likely to remain one of the largest and most trusted defence contractors for the Pentagon, as its growing defence portfolio can attest. Last week, despite continued fallout from the 737 MAX issue, the company won a $4 billion contract to build 78 F/A-18 Super Hornets for the US Navy, with the deal piling more cash onto the over $12 billion Boeing already secured last year in three separate tenders for a next-gen Air Force training jet, a next-gen MQ-25 unmanned tanker for the Navy, and design work to replace the workhorse Huey helicopter. According to de Briganti, Boeing won these contracts through a strategy of "massively underbidding" the competition. "For example, the US Air Force had budgeted $19.7 billion for the T-X jet trainer program, but Boeing won it with a bid of $9.7 billion. This will inevitably lead to cost overruns, which in turn will encourage expediency and possibly to cutting corners, as reportedly happened on the MCAS certification," the analyst explained. Also last week, the DoD's inspector general launched an ethics probe into acting Secretary of Defence and Boeing veteran Patrick Shanahan to determine whether he had inappropriately promoted Boeing products in his role as defence chief. Shanahan famously got in trouble earlier this year after calling Lockheed Martin's $1.5 trillion F-35 fighter plane "f***ed up" while claiming that the plane "would be done much better" if the contract had gone to Boeing. Abraham Ait, founder and editor-in-chief of Military Watch Magazine, told Sputnik that notwithstanding concerns of favouritism by Shanahan, his comments on the F-35 were "far from unique," merely echoing sentiments expressed by experts and officials across the board, including former Senate Armed Services Committee Chairman John McCain, who once described the F-35 program as a "textbook example" of the US's "broken defence acquisition system." 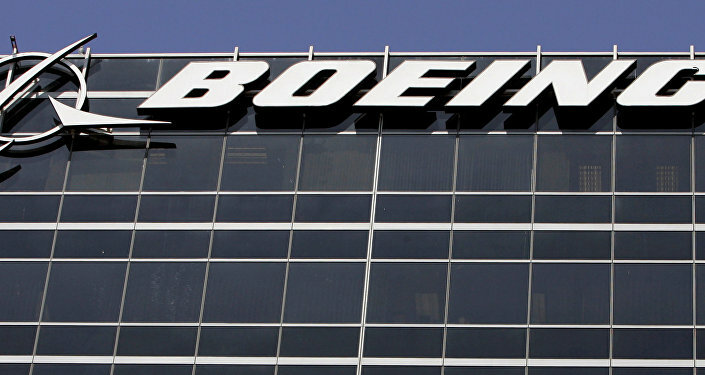 According to Ait, while Boeing is a major defence supplier, its position in the US arms market can better be described as being part of an "oligopoly" than a monopoly, with Lockheed Martin in fact receiving "the bulk of contracts" (and cash) under President Trump thanks to the production of the F-35, which is "by far the largest weapons program in military history." "Whether the disparity between the two manufacturers will change in future, particularly given the dissatisfaction repeatedly voiced by both government and military officials regarding their handling of the F-35 program, remains to be seen – but it could well lead to Boeing taking a greater market share," Ait admitted. 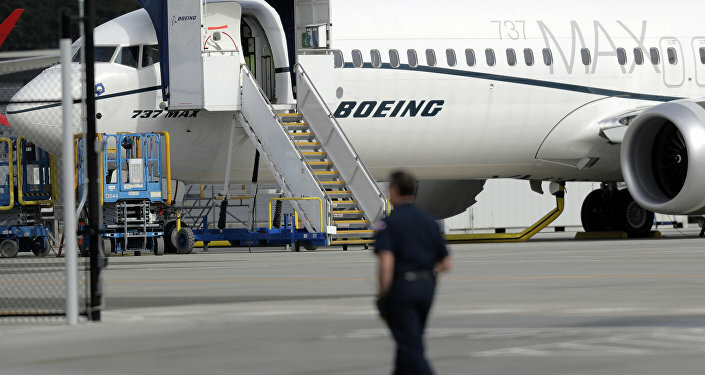 Speaking to Sputnik about the probability of Boeing actually carrying out a systemic, across the board review of the safety of all of its aerospace products in the aftermath of the 737 MAX accidents, investigative journalist David Lindorff, author of a widely popular expose for The Nation magazine on Pentagon waste, suggested that the key issue was the company's immense power in both the civilian and military aerospace sectors in the United States. "There are two questions that you're asking, really. One is — how high should they go? and the other is — how high will they go? Because Boeing is a very powerful company. I think it's the major exporter in the United States in terms of dollar volume…It's a huge part of our export economy. Plus it's also a huge defence contractor. So to take them on in a serious way and really look for the truth is asking a lot in our rather corrupted political system," Lindorff emphasised.